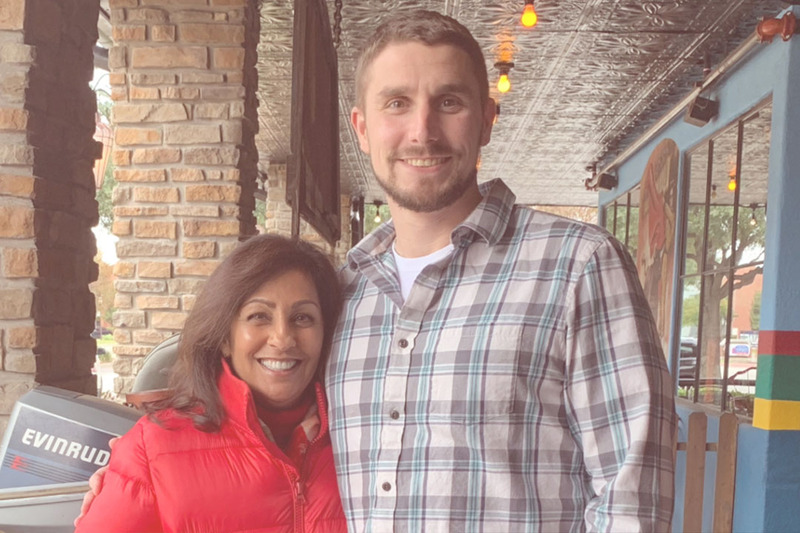 Gabriella van Rij, founder of the Dare To Be Kind movement, talked with Joel Price on November 11, 2018 about what led to his work as a licensed clinical social worker. Q: Tell us a bit about your history. I think I played with GI Joes too much and thought it was cool, so when I was 17, I enlisted in the National Guard and did 9 years of service. While with the National Guard, I went to Hurricane Katrina and was part of recovery efforts. I also served in Afghanistan. We did a lot of different things; we were training the military and we did what we call “hearts and minds,” where we gave away food and we helped rebuild a school. Women aren’t supposed to get an education over there. So we put money and effort into helping build a girls’ school right next to the police station so they would be protected. Q: You probably have seen things that are unimaginable to the rest of us where you always have to have your guard up. What’s that like? I was a medic, which is a field doctor. As a medic, it’s infantry first until someone gets hurt and then when that happens, you’re their doctor first, their priest, their counselor, and whatever they need you to be. It’s hard, especially as a medic, when you lose someone. When you’re over there you experience things that you can’t really explain to anyone. Q: Did your training prepare you for what you faced while over there? Once you’re actually in a conflict, it’s nothing like any of the training sessions because dummies don’t prepare you for someone who is your best friend or your brother bleeding out next to you. You might really not like someone in your unit, but the reality is they’re your family, so you love them. And when you lose them, even if it’s someone you didn’t get along with, it’s like losing a family member. Q: After your time with the national guard, did anyone help you reintegrate into civilian life? When I came back home, everything felt like a threat. I didn’t know how to handle myself. I had to find ways to cope with that. And I didn’t cope in the most positive way at first. There are government programs that help veterans reintegrate, but as my parents would tell you, it felt like those programs were targeted at veterans with families, spouse, or kids. And not for the single soldier, like myself. There are a lot of programs out there, but if you’re a veteran and you’re dealing with PTSD or survivor’s guilt, you don’t know how to look for that. But there are crisis lines, so if you’re in crisis, you can call those hotlines. I didn’t know about that stuff when I first returned to civilian life. VA Crisis Line 1-800-273 TALK press 1 for Veterans. Q: In your words what has been your experience with PTSD? People want to help but they likely don’t know how. What would you say to the person who wants to help a veteran with PTSD? PTSD is living through being on the frontlines again. It’s sadness. It’s mourning for your brothers that you lost. It’s the nightmares. Sleeplessness. It’s the knowledge of losing those close to you and facing your mortality and knowing it could have been you. Coming home, veterans need to change their mindset from kill or be killed to “I’m going to go home and reintegrate and be nice to everyone I meet.” How do you deal with that? When I first came home, the method I used was alcohol because I didn’t have any other tools to understand what to do. The thing that got me off of my addiction to alcohol was faith, programs, and people. At first, I didn’t know how to deal with things, which is why I turned to drink. But I’m now six years sober. And a huge catalyst for me was one nurse in the hospital. One day, when I was terribly sick, a Christian nurse asked me, “Can I read you Scripture?” She started reading it to me, and it was at that moment that God stepped into my life. Now my faith is super important to me. If it wasn’t for God, I wouldn’t be where I am today. I believe He forgives me for everything. And when I’m checked out, I know He is there for me. But I didn’t believe that when I first came home. This lady was kind enough to treat me like a human being and not another number. Veterans are so used to being treated like another number. I don’t even know that nurse’s name. I don’t know anything about her. Now I try to live to serve others and that’s something my life has become. This lady was an example to me. She showed me kindness, love, and she served me. And there were others. If these people had not stepped into my life, I wouldn’t be a social worker today. Those people showed me that unconditional positive regard they had for me, even though they didn’t know me. And that changed me. That’s what got me into the work that I do today as a licensed clinical social worker. As veterans, we have to make a choice. We can either let our experiences “disable” us or “able” us. I work with veterans. I took what I went through and I now use it to help other veterans.